As a REALTOR, you want to learn about Staging but what course should you take? Do you just want information or do you want a lot more for your time and money investment? Do you want marketing and business resources, vendor partnerships, added exposure online for you and your listings, plus a content rich course that is updated and on trend, and much more? Do Credentials matter to you and your business to give you added Credibility & Clout? 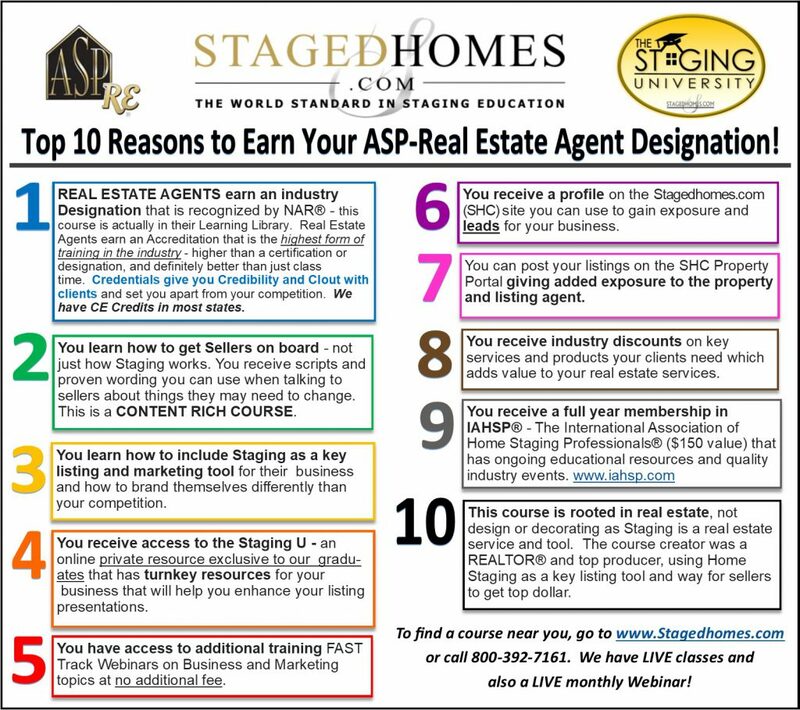 Then these Top 10 Reasons to earn you Accredited Staging Professional (ASP) Real Estate Agent Designation from Stagedhomes.com – the WORLD STANDARD in Staging Education are for you!